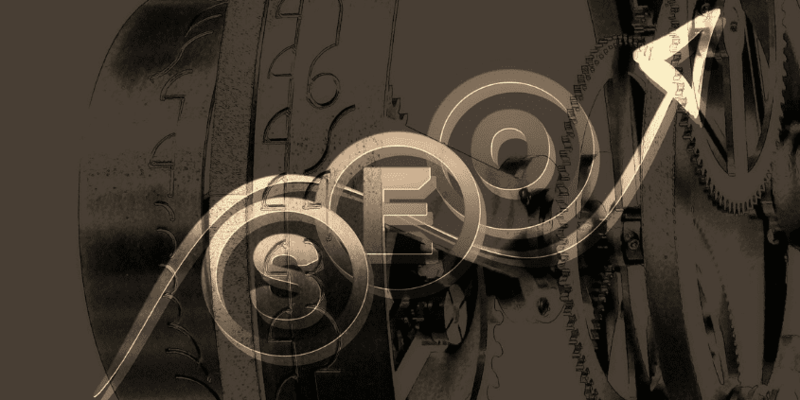 Home » SEO » Should You Trust Free Headline Analyzers? To be honest: we’re putting our faith in this really cool free headline analyzer we just found this week from CoSchedule. It’s quick, comprehensive, and fun to use. In fact, the headline we used today was picked over five others thanks to this nifty tool (we tried several before, but they were more ‘funny’ than ‘cool’). As much as we love it though, we need to see how effective it would be for the long haul. Although CoSchedule is mainly an Editorial Calendar for WordPress, their Headline Analyzer has been mentioned in several popular blogs thanks to its attractive features. Simply type in your headline, wait for a few seconds, and it will show you in-depth results based on your choice of words. First, it will how the Headline Score (we found that scores 70 and above is a good omen), followed by a word balance analysis. Basically, you want more emotional and power words to grab readers’ attention. 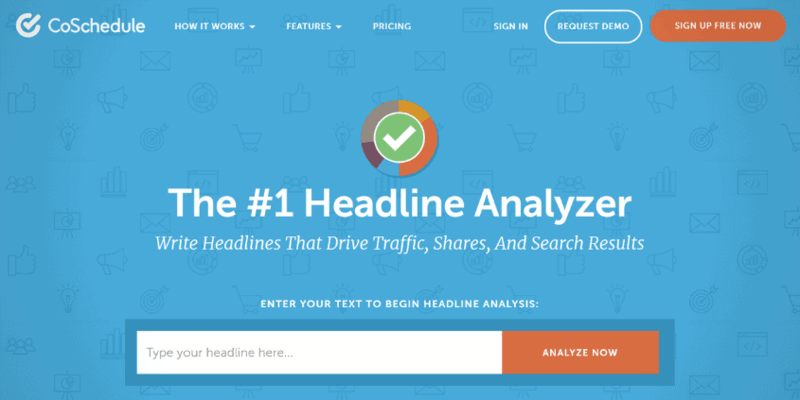 The Headline Analyzer will then show your headline Type (Generic, Question, How To, List, etc. ); followed by length analysis. Why does this matter? Longer headlines tend to get cut in search engine results (SERP) and email subject lines; so there’s a chance that people won’t click on something they can’t read all the way through. So balance is key here. Lastly, CoSchedule will show keywords along with possible user sentiment towards your headline. Their Headline Analyzer also displays tips, in case you need more reading material for picking the right blog post titles. We already know that headlines are VITAL to getting your audiences’ attention. Even if only 2 out of 10 people will read a blog post, 8 will read the headline. And if they don’t like it, no one will bother with the rest of your article – no matter how golden it is. Surprisingly, many content creators still underestimate the power of a good headline. So we gathered our favorite tools to check if we put our faith in the right hands. How Precise Is a Free Headline Analyzer? In order to help us determine how accurate free headline analyzers are (in particular, that of CoSchedule), we pulled up two other online tools to help us: Ahrefs Content Explorer and BuzzSumo. These will gather the best content from the Web, so we can evaluate their headlines. Using the keyword ‘content marketing’ and last month’s most popular content, we picked five random headlines (within the top 10), then put them in the Headline Analyzer for review. **NOTE: Headlines were picked based on context. Articles about gadget reviews and/or those containing infographics were not included. Surprisingly, the highest score we got was 71. That’s not so bad – except the title we’re using on this post scored an awesome 74. The lowest number was 44. However, it’s hard to believe that it would get that rating, considering that the post garnered 447 ReTweets, and was shared on Facebook 218 times. We admit that those that scored between 60 and 65 were somewhat generic, but we believe their writers’ reputations was a contributing factor to their number of social signals. We went further and tested headlines from one of the Web’s greatest content sources these days: BuzzFeed. With over 40 million people viewing its hits every day, would anyone argue that headlines are doing a great job on this site? Again, we picked five random titles from Trending topics and let our Headline Analyzer review them. We were not shocked to see that only one received a low score (64), while the rest of the headlines were in the green. After all, these are highly trending AND interesting topics that a lot of people can relate to. But why did our previous test returned unsatisfactory results? Was BuzzFeed doing something BETTER? Or was our Headline Analyzer having a technical issue? CoSchedule’s Headline Analyzer deals mainly with a headline’s three core aspects: type, choice or words, and length. Combined, these elements make or break a headline that can capture a user’s attention. Type of Headline. There all kinds of headlines, but from our short study, the best ones to use are Lists (‘29 Dad Jokes’ from BuzzFeed), How To’s (‘How To Craft Headlines’ from SocialMediaExminer.com), and Questions (‘How Does Your Content Marketing Measure Up’ from Entrepreneur.com). Choice of Words. Certain words encourage people to take action – others, not so much. It is said that the best copywriters in the business take DAYS to craft a one-liner. That makes sense; considering that each word should count. Based on our results, users love verbs and adjectives in their headlines. Length. Nothing kills interest faster than length. Make your headline long enough to be precise, yet short enough to look good on search results. Based on our test, the best headlines are between 35 to 60 characters (spaces included). Our Headline Analyzer was able to give earlier results based on a balance between these factors. However, these are NOT the only things that determine a great headline. Other things to consider are your target audience, your end goals, and your marketing strategy. Sometimes, even the best headlines don’t work. It’s not because your online tool was a bust – it’s usually because headlines are just the beginning. What Is BuzzFeed Doing Right? Remember that there is NO single trick to perfecting headlines. If there’s one thing that BuzzFeed is doing right, it’s that they know how to listen to what the market wants – and deliver that. Headlines are much more than catchy titles. Observe your competitors’ content and you can gain an insight into the kind of strategy they are using. Free Headline Analyzers are awesome: they could help us break down our titles and improve them for better blog traffic. So how can you create a kickass headline? Writing a headline is a fundamental step towards effective content delivery. As it is the first thing that your audiences notice in your content, you need to make it accurate, catchy, and interesting. Take a look at the ways on how you can create great headlines. Aside from crafting headlines to attract audience readership, you also have to optimize for search and social. So how can you do it without compromising the clarity? It all starts with a chosen focus keyword. This is what makes your headline search-friendly. Before crafting your title, you need to make sure that you have clearly determined your focus keyword. Choose what your audience is looking for. 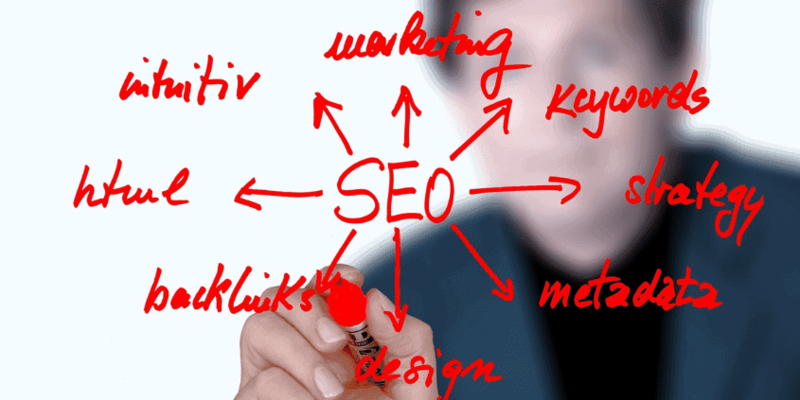 Choose a keyword with high search volume. Once you have your keyword ready, place it clearly in your headline, preferably in the beginning. On the other hand, to optimize your headline socially, imagine how it will look like when shared. You need to follow the ideal length so social media sites, especially Twitter, won’t cut it off. For Twitter, medium length tweets (max 100 chars) get higher engagement. Also, limit your Facebook post at 40 characters and Google+ at 60 characters. Note: Try not to overdo this step. Though it would be great if you can do this, don’t compromising the quality and functionality of your headlines for these criteria. Upon choosing your high-volume as well as catchy keywords, test it out on Google’s search engines to see what other people have written. You also want to know how people are using it. Gauge which post gets the most engagement and reads. Just because you want your headline to be informative doesn’t mean you can’t add a little bit of fun. Your creativity in choosing the words gives more value to your headline. Use strong, powerful persuasive words. Have some fun testing them out. You think you were through with numbers when you finally escaped advanced algebra during your school days. But don’t make the mistake of thinking that numbers won’t be of any use to you now. Use them in your headlines to clue your readers in on what they can expect. Furthermore, it sets a limit and can even form an approximate word length. Remember that your audiences nowadays, don’t possess the attention span necessary to read through a huge block of text. Ever wondered why ‘lists’ and ‘top 10’ articles are so popular? Piquing your reader’s curiosity is what primes them to read your content. It’s more than just typing out words that attract and make sense. It takes sly and crafty thinking as well. You can always try click-baiting, or you can pose questions that tickle an opinionated answer out of your readers. That way, you don’t need to fish for comments. They’ll just come to you. Do it right, and your comments section might even evolve into a full discussion board down below. Click on it now! Read it now! YOU NEED TO KNOW THIS! That’s the kind of subliminal vibe you want your headline to give. Urgency fuels marketing across all marketing industries. Stay Accurate, Relevant, and HUMAN! The accuracy and relevance of your headline to your content are critical factors that make up an effective content. The last thing you need are readers leaving your page just because your content is not exactly what your headline describes. So don’t overdo your headline. Avoid creating a headline can which can cause over expectation to your readers. While your headline must persuade your audience, you need to ensure that your content can fulfill the expectations which your title have set. Otherwise, you’ll end up losing your audience trusts. And lastly, make it human. Above anything else, create a headline that is understandable and valuable for your audience. A great content starts with a headline that communicates with the readers. From your headline, you have to present a pain point and a solution that your audience can relate to. We should remember that the final decision still rests with us. If your headline feels wrong, change it – no matter what your online tool says. Don’t forget: it only takes less than 3 seconds to make a good first impression. So a strong headline could mean the difference between getting online traffic or losing it. How about you, are you currently using free headline analyzers? Tell us about your experience! For our Q&A Friday, Joni provides her straightforward answer. Anyways~ On to our discussion for today. We typically upload videos once a week, and after that technical how-to video we posted last week, well, the entire team figured it’s time to try and answer one or two questions. And, here we are. So no more dilly dally let’s jump into Q&A Friday! If you’re in charge of writing content for the internet and specifically for your target market. Then you know how painstaking it is to create the perfect title! I won’t get into the easiest and most difficult part of writing, because we don’t need to. Let’s not start this off with a drama alert. Back to writing headlines. Finding the right headline is important, because not only is it the first thing everyone sees and judges; most of the time, it’s what determines if your audience will read your content or not. That’s why you can’t blame a lot of writers if you find them obsessing over their title headlines. No one will deny needing help on two or three occasions, and nobody will judge you for using a headline analyzer, like CoSchedule, now and again. Even powerful and influential people look for second opinions. But before I begin answering this question, please understand that in no way shape or form were we paid to broadcast this Headline Analyzer tool. I repeat. We are not being paid to talk about CoSchedule Headline Analyzer or what their tool can do. This is a 100% honest opinion, not influenced by any company. CoSchedule Headline Analyzer is simply mentioned here because it’s what our team uses at times to double-check headlines before we publish an article on Dlinkers. But now that that’s out of the way, we’ll jump in. Again, the question was Should You Trust Free Headline Analyzers? Before you start dragging, hear me out. I say Yes, because kudos to CoSchedule Headline Analyzer for creating a handy tool that thoroughly examines a given headline. It does this in real-time, and rates them according to several segments. It judges word balance. It provides an analysis of the overall structure, grammar, and readability, Of course, it’s something that you can do on your own, but the aid of a machine can’t hurt. Segments your words into common, uncommon, emotional, degree of power it holds. These 4 are somewhat the basis of a seemingly perfect title. Analyzes length. Headlines with approximately 55 or so characters are great. And it looks like the right length of a headline is approximately 6 words. Also, it emphasizes the first and last three words of your headline — since that what most readers often look at. And lastly, there’s the keywords & sentiments. It judges if your headline contains searchable keywords and phrases. The tool also shows a “prospect” sentiment (I say ‘prospect’ because that’s not a real human being, and it’s only assuming). And when we scroll further, the tool also shows what your headline looks like when it pops up on search engines and email subject lines. Which is great. We love a heads up, don’t we? The higher the headline score the better. And for fun, CoSchedule also gives you the option to tweet your score. It’s cute. To be completely honest, do what feels right. It takes less than 3 seconds to make a good first impression, so make your headlines count. We could talk about how to create headlines that convert and all that, but that’s an entirely different video altogether. If you want that in-depth discussion, let us know in the comments. Or you can check out that blog in Dlinkers’ official website. Sooo, yeah. Those were my thoughts on using Free Headline Analyzers to check your titles and stuff. If you disagree, and if you have other thoughts, let us know in the comments section below, won’t you? But that will be all for today, so please don’t forget to like this video if you liked it. Tap that bell icon and subscribe to our channel for more videos in the near future. And of course, check out our last video about Fixing Missing Required hEntry Errors on your Structured Data. There’s an annotation somewhere in this screen, or you can simply find all of the links I mentioned in this video in the description below. Thank you for watching. We’ll catch ya next time!